RESEARCH: Family Tree Missing A Branch? Is geographic distance keeping you from capturing a special photo of a family home, farm, school building, grave site, business, church, historic marker, or a favorite location? Order a digital or paper copy of your image from sites within the Virginia, Pennsylvania, Maryland, West Virginia, Washington DC, Florida or Louisiana areas. High resolution, digital photos and certificate of authenticity are available by email, CD, paper print or any combination of those options. Documentation research conducted on a local, national, or international level. Contact HISTOGRAMS for a quote on these or other related services. Looking for Someone? Are they history? Click the “?” to search. UNIONS AND REUNIONS ARE SITTING ON A FENCE…. Many opportunities for gathering family information present themselves, but not too many are as fraught with potential as a family reunion. How well it works for you is based on preparation. By thinking ahead and organizing, you can make this or a similar event very fruitful. Having two dedicated genealogists in the greater family, our family tree is recorded much better than most. We share a consanguinity based on us both being direct great-grandchildren from a shared ancestor. We are connected through the first relative arriving in America on the O’Brien side. Then, due to marriages, we naturally branch off from the other. Regardless, we both prepare for joint reunions; but we do it very differently. One method Dennis used was bringing his laptop with Family Tree Maker. He left it open and ready for input. His collection method was asking for reviews and confirmations of the data he had in his database. The other data collection hoped for was that reunion attendees would add themselves or their family’s updates. New children, divorces, new spouses, grandchildren, deaths, military duty, all the details genealogists relish. My approach was more from the educational approach. Knowing the various branches attending, under the umbrella of our shared heritage from our first Irish ancestors to arrive in America, I prepared posters showing each family and their family tree. Attached to each poster was a marker in the hopes that attendees would mark-up the tree with information. Overall, it was a similar approach, but one which could be shared by multiple attendees at a time and low-tech. I also collected their email address (if I didn’t have them already). This way, I was confident in their input. If, for any reason I did doubt the feedback, I knew who to reach out to for a verification. Bring a recorder with you for oral stories. Once upon a time, taking a tabletop recorder was required. Now, it is so easy with iPhones, iPads, and other digital equipment to be ready in a moments notice. Again, have some questions ready encouraging relative’s stories. The critical stories are usually from the oldest in the crowd. There is a natural tendency and near instinctual drive for them to pass along their memories to ensure that they and their loved ones are remembered. There are other ideas for future postings. If you start with these, and take them seriously, you’ll be very busy until I post the next phase! When a loved one or a close friend dies, our minds immediately start thinking about our loss. Following that, our thoughts enter into a phase of wondering about whether or not they planned for their business and personal affairs. Many of us consider these issues as still caring for the deceased. Planning for the here-after might be thought of as a purely religious experience. We ask ourselves if we have acted properly when we were alive and reflect on whether we are at peace with our God as we know him or her. All of that is admirable, but; we all know there are far more corporeal affairs to address. The other side of the fence presents the administration of an estate. Some people are wonderful about addressing their personal affairs. They have written their wills, crossing their Ts and dotting there Is, making sure the silver goes to a favorite cousin and their car to a nephew. They may have even been so prepared by administering an advanced medical directive, and have appointed a fair-minded relative or friend who is going to be acting as their executor. A huge key is to have an original will, or a certified copy of it, in the hands of others and not just with an attorney. The deceased person’s attorney might be out-of-town or the country for that matter when needed most. There is even a chance that the attorney may have already died in advance of their client. 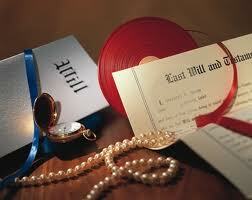 Having copies handily available to responsible people, especially your executor, is critical. Probate usually strikes fear in the hearts of many. As a matter of fact, during the 1970s books started surfacing with exotic titles such as “How to Beat Probate.” It was all the rage and is still a subject of interest. Even for those who have planned each and every detail could end up with an executor who has died before they have and their will would still fall into Probate Court. Cases routed through the probate process are there regardless of their monetary value. What is remarkable is the amount of information these files offer a genealogist. Some wills found in the courthouse point to a crisp snapshot of a person’s life. Their specified relatives or loved ones names are there along with their contact information as of the related probate processing timeframe. Also, there is an itemized statement of their worldly possessions, who received them, and their worth. That should promise you enough information to make the trip to an associated court house worthy of your invested time. See you at the court house! Departing from the world of wills, I wanted to explore Thanksgiving’s history. It isn’t what we’ve been taught. The issue with this is that Virginia’s Berkeley Plantation had already offered the first thanksgiving on December 4, 1619. A day for Thanksgiving services was codified in the Charter of Berkeley Hundred, which was the original name of the plantation. There were other firsts associated with Berkeley. Built by Benjamin Harrison IV, two of his descendents became quite distinguished. Benjamin Harrison signed the Declaration of Independence while William Henry Harrison became president. Not being without their beverages, the first whiskey was distilled there in 1621 by a priest. The bugle music, “Taps” was written and played on the property by the James River. In general, Lincoln’s 1863 Proclamation set the day as the last Thursday of November as an attempt to offer a joint national event to the North and the South during the Civil War. The South refused to celebrate and a national holiday wasn’t realized until after Reconstruction. Later, In an attempt to bring an economic boost to the country, FDR’s 1941 proclamation reset the date to the fourth Thursday of November. 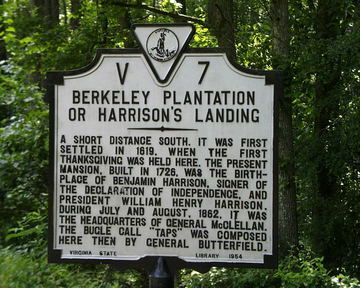 I visited Berkeley Plantation not all that long ago with a great group of colleagues and look forward to returning. There is a certain peacefulness enjoyed walking this property. Focusing on the past; illuminating the future is more than a slogan for Brannigan and Murphy. It entails being involved in lifelong learning. To that end, there has been a tremendous effort on our part acquiring additional skills while sharpening those already held. We hold new credentials in several areas, the most notable being an investigator. It is always good having the most up-to-date information and expertise possible. Additionally, genealogy is enjoying and ever increasing interest. Brannigan and Murphy have received research requests in keeping with this growth rate. Individual family searches are always wonderful challenges. One search for my friend, Marcia, revealed that an ancestor built a diving bell to recover 20 tons of iron bars had fallen off his ship. The freight was located at a depth of 62 feet during low tide. Talk about a challenge. A dividing bell was constructed by her ancestor, Captain Richard Tripe, and an adventure ensued. During the recovery process, a physician examined his hearing and physical well-being. The impressive part is that the year was in 1805. It was the Piscataqua River near Portsmouth, New Hampshire; Dr. Benjamin Silliman was the first professor of chemistry at Yale, and Captain Tripe successfully recovered the iron bar shipment. Dig back far enough and everyone has an interesting tale in his or her family tree. Contact us if you are in the market for a discovery in one of your branches or limbs. This last week another case brought me to an interesting word that isn’t used too frequently: Cenotaph. The term has roots in Old French, Latin, and Greek. Each language expresses the meaning “empty tomb.” A cenotaph is a tribute to a dead person or per sons who are buried in a different location. There are not too many situations to use this word, but it is an interesting one, rating right up there with sarcophagus. Through the years, I have visited several cenotaphs and felt the solemn tribute it gave to those buried elsewhere. A recent case presented asking Brannigan and Murphy to photograph the cenotaph honoring, in part, Lawanda Thomas (1967-1988). Lawanda was a 22-year-old enlisted Senior Airman with the U.S. Air Force from Detroit, Michigan. 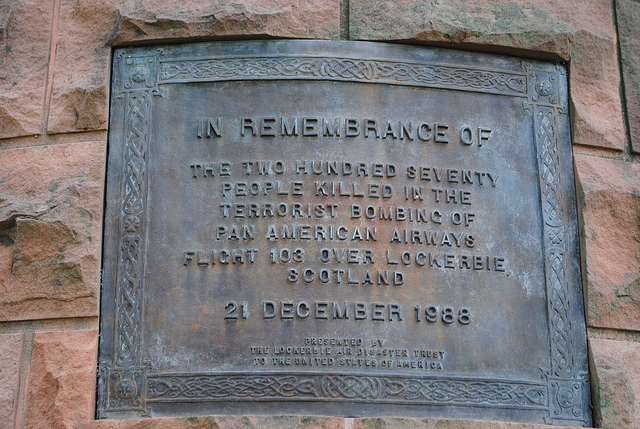 She lost her life, along with many others, in a peacetime terrorist attack on Pan Am Flight 103 over Lockerbie, Scotland. Many bodies, including Lawanda’s, have not been recovered. One cenotaph honoring all lives lost during that event is located in Arlington National Cemetery near Washington, DC while another is in Lockerbie, Scotland. It is always handy having a solid piece of trivia in your pocket. Here is one you may find useful. Who is the only U.S. President buried in Washington, DC? 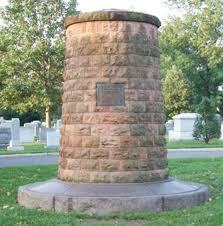 Many will say Kennedy but his grave is in Arlington, Virginia. The correct answer is Woodrow Wilson. He, and his wife Edith, are both located in the Washington National Cathedral. You can find Woodrow’s sarcophagus just near the window encasing the only moon rock outside the U.S. Government’s control, midway down the center aisle on the right. Five signers were captured by the British as traitors, and tortured before they died. Twelve had their homes ransacked and burned. Two lost their sons serving in the Revolutionary Army; another had two sons captured. Nine of the 56 fought and died from wounds or hardships of the Revolutionary War. They signed and they pledged their lives, their fortunes, and their sacred honor. What kind of men were they? Twenty-four were lawyers and jurists. Eleven were merchants, nine were farmers and large plantation owners; men of means, well educated. But they signed the Declaration of Independence knowing full well that the penalty would be death if they were captured. James Madison: The last of the Founding Fathers. On June 28, 1836 James Madison died in the company of his trusted enslaved manservant, Paul Jennings while Dolley seemingly made herself scarce. It was only 14 months earlier, on April 15th, that he executed his will. I imagine him to look like this even as a child. Madison had always lived in a constant state of physical frailty; but, after leaving the presidency, intense anxiety and finances added to that concern. The pressures of running the United States were all consuming for Madison. There was the little matter of that pesky 1812 War: the war which ended in a stalemate and no clear winner. With all the focus on the business at hand, Madison’s plantation based business was summarily neglected. By the time he returned to his personal business eight years later, it was in a sad state of affairs. Later, he acted as a representative to the Virginia Convention of 1829 where the state constitution was being revised. During the time he was there he worked on trying to resolve voting rights and slavery. In the end, he was chiefly ignored by his fellow legislators. This, along with the condition of his finances, broke his spirit. In the end, his will provided for his wife’s son, who squandered his money as well as that of Dolley, his enabling mother. 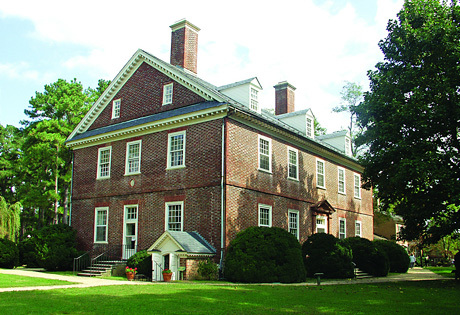 As a result of indulging her son, Dolley herself lived in relative poverty in Washington, DC. Having had no children of his own, Madison also willed money to his 30 nieces and nephews. He willed his library to Dolley and anything she didn’t want he titled to the University of Virginia. A graduate of the forerunner of Princeton, he included that college as well as the University of Virginia and, a rather odd choice, the Washington and Jefferson College in Uniontown, PA. My guess is that it was a nod to his great friends and fellow Founding Fathers. The college was founded 30 miles south of Pittsburgh in 1781. 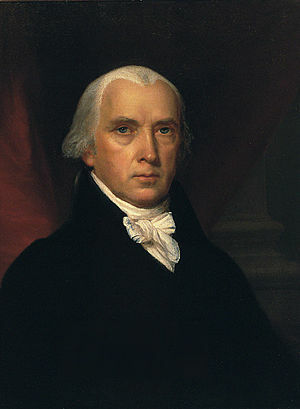 Upon the death of Jefferson, James Madison became the president of the University of Virginia. This position lasted ten years, until his death. On April 15, 1835 Madison wrote and signed his last will and testament. A mere 14 months later he died on June 28, 1836. Several years ago I was privileged to study at the Center for the Constitution which is held on the ground of Montpelier. Attendees are housed in cottages built by the DuPonts when they owned the home. We were free to walk the property and explore in addition to the incredible guided tours which were held specifically for our group. One evening while I was there, I walked to the front of James and Dolley’s home with my omni-present cup of coffee, sat on their steps and watched the sun set behind the Blue Ridge Mountains. It was astounding to me that I was enjoying the same view they had during their lifetimes. It was humbling and exhilarating at the same time. “Jefferson survives.” Little did John Adams realize that his last statement would ring false when he uttered it. On July 4, 1825, the semi-centennial of the United States, Thomas Jefferson predeceased John Adams by only a few hours. Both powerful men and deeply respected colleagues, these men were also dear friends. They had their disagreements and disappointments. Jefferson became the third president because he defeated Adam’s bid for re-election. After time, they returned to the basis of friendship constructed on a foundation of common interest: The United States. Their fervor for our newly minted country now reaches beyond death through the legacy of their works and philosophies. If a time machine is ever invented during my lifetime, I would revel visiting with Jefferson, sitting on his porch, and discussing his influences and decisions. To me, he is one of the most fascinating people in history and is last will and testament reflects that. Reading his will, and the embedded reasons for many of his decisions, opens a unique window into this man’s thought process as well as his heart. Who else would omit on their tombstone that he had been president? The one who wrote The Declaration of Independence. Below is a transcription of Thomas Jefferson‘s last will and testament. I Thomas Jefferson of Monticello in Albemarle, being of sound mind and in my ordinary state of health, make my last will and testament in manner and form as follows. I give to my grandson Francis Eppes, son of my dear deceased daughter Mary Eppes, in fee simple, all that part of my lands at Poplar Forest lying West of the following lines, to wit, Beginning at Radford’s upper corner near the double branches of Bear creek and the public road, & running thence in a straight line to the fork of my private road, near the barn, thence along that private road (as it was changed in 1817) to it’s crossing of the main branch of North Tomahawk creek, and, from that crossing, in a direct line over the main ridge which divides the North and South Tomahawk, to the South Tomahawk, at the confluence of two branches where the old road to the Waterlick crossed it, and from that confluence up the Northernmost branch (which separates McDaniel’s and Perry’s fields) to it’s source, & thence by the shortest line to my Western boundary. and having, in a former correspondence with my deceased son in law John W. Eppes contemplated laying off for him with remainder to my grandson Francis, a certain portion in the Southern part of my lands in Bedford and Campbell, which I afterwards found to be generally more indifferent than I had supposed, & therefore determined to change it’s location for the better; now to remove all doubt, if any could arise on a purpose merely voluntary & unexecuted, I hereby declare that what I have herein given to my sd grandson Francis is instead of and not additional to what I have formerly contemplated. I subject all my other property to the payment of my debts in the first place. Considering the insolvent state of affairs of my friend & son in law Thomas Mann Randolph, and that what will remain of my property will be the only resource against the want in which his family would otherwise be left, it must be his wish, as it is my duty, to guard that resource against all liability for his debts, engagements or purposes whatsoever, and to preclude the rights, powers and authorities over it which might result to him by operation of law, and which might, independantly of his will, bring it within the power of his creditors, I do hereby devise and bequeath all the residue of my property real and personal, in possession or in action, whether held in my own right, or in that of my dear deceased wife, according to the powers vested in me by deed of settlement for that purpose, to my grandson Thomas J. Randolph, & my friends Nicholas P. Trist, and Alexander Garrett & their heirs during the life of my sd son in law Thomas M. Randolph, to be held & administered by them, in trust, for the sole and separate use and behoof of my dear daughter Martha Randolph and her heirs. and, aware of the nice and difficult distinctions of the law in these cases, I will further explain by saying that I understand and intend the effect of these limitation to be, that the legal estate and actual occupation shall be vested in my said trustees, and held by them in base fee, determinable on the death of my sd son in law, and the remainder during the same time be vested in my sd daughter and her heirs, and of course disposable by her last will, and that at the death of my sd son in law, the particular estate of sd trustees shall be determined and the remainder, in legal estate, possession and use use become vested in my sd daughter and her heirs, in absolute property for ever. In consequence of the variety and indescribableness of the articles of property within the house at Monticello, and the difficulty of inventorying and appraising them separately and specifically, and its inutility, I dispense with having them inventoried and appraised; and it is my will that my executors be not held to give any security for the administration of my estate. I appoint my grandson Thomas Jefferson Randolph my sole executor during his life, and after his death, I constitute executors my friends Nicholas P. Trist and Alexander Garrett joining to them my daughter Martha Randolph after the death of my sd son in law Thomas M. Randolph. I Thomas Jefferson of Monticello in Albemarle make and add the following Codicil to my will, controuling the same so far as it’s provisions go. I recommend to my daughter, Martha Randolph, the maintenance and care of my well-beloved sister Anne Scott Marks, and trust confidently that from affection to her, as well as for my sake, she will never let her want a comfort. I have made no specific provision for the comfortable maintenance of my son in law Thomas M. Randolph, because of the difficulty and uncertainty of devising terms which shall vest any beneficial interest in him which the law will not transfer to the benefit of his creditors to the destitution of my daughter and her family and disablement of her to supply him: whereas property placed under the executive right of my daughter and her independant will, as if she were a femme sole, considering the relations in which she stands both to him and his children, will be a certain resource against want for all. I give to my friend James Madison of Montpellier my gold-mounted walking staff of animal horn, as a token of the cordial and affectionate friendship which for nearly now an half century, has united us in the same principles and pursuits of what we have deemed for the greatest good of our country. I give to the University of Virginia my library, except such particular books only, and of the same edition, as it may already possess, when this legacy shall take effect. The rest of my said library remaining after those given to the University shall have been taken out, I give to my two grandsons in law Nicholas P. Trist and Joseph Coolidge. To my grandson Thomas Jefferson Randolph I give my silver watch in preference of the golden one, because of it’s superior excellence. my papers of business going of course to him, as my executor, all others of a literary or other character I give to him as of his own property. I give a gold watch to each of my grand children who shall not have already received one from me, to be purchased and delivered by my executor, to my grandsons at the age of 21. and grand-daughters at that of sixteen. I give to my good, affectionate, and faithful servant Burwell his freedom, and the sum of three hundred Dollars to buy necessaries to commence his trade of painter and glazier, or to use otherwise as he pleases. I give also to my good servants John Hemings and Joe Fosset their freedom at the end of one year after my death: and to each of them respectively all the tools of their respective shops or callings: and it is my will that a comfortable log house be built for each of the three servants so emancipated on some part of my lands convenient to them with respect to the residence of their wives, and to Charlottesville and the University, where they will be mostly employed, and reasonably convenient also to the interest of the proprietor of the lands; of which houses I give the use of one, with a curtilage of an acre to each, during his life or personal occupation thereof. I give also to John Hemings the services of his two apprentices, Madison and Eston Hemings, until their respective ages of twenty one years, at which period respectively, I give them their freedom. and I humbly and earnestly request of the legislature of Virginia a confirmation of the bequest of freedom to these servants, with permission to remain in this state where their families and connections are, as an additional instance of the favor, of which I have recieved so many other manifestations, in the course of my life, and for which I now give them my last, solemn, and dutiful thanks. At a court held for Albemarle County the 7th of August 1826. This instrument of writing purporting to be the last will and testament of Thomas Jefferson Deceased was produced into court and the hand writing of the testator proved by the oath of Valentine W. Southall and ordered to be recorded. Located in Virginia, near Washington, DC and Maryland, offers countless resources for obtaining specific photographs. A photograph of a special location could offer unexpected information or insight as well as capturing selected memories like nothing else can. Histograms is available for providing those images to you. Consider contacting us for high-quality digital or printed photos.